The Fusion Outdoor Pool Dining Table is constructed to the same specifications as the ‘Outback Outdoor’ table in terms of it’s weather resistant properties. However this table also doubles up as a stylish outdoor dining table, supplied with a 2 piece, 6mm thick, toughened smoked glass top. It is manufactured out of weather proof materials and has a weather proof cover to protect it while stored outside. 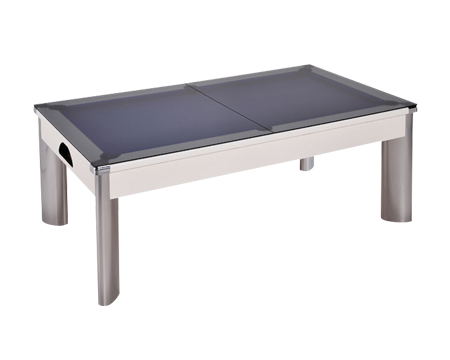 The Fusion Outdoor Pool Dining Table is fitted with a hard wearing outdoor cloth.